Scientists get inspired by wasps for future flying drones. By using high-speed cameras, they managed to discover a special technique of the insects that helps them find their way home. It is well known that before leaving the burrow to forage, wasps take flight by looping in circles around their nest. In this way they gain height and are able to fly away. However, the newest discovery on the matter has proven that wasps have to learn many visual cues in order to remember the location of their home. 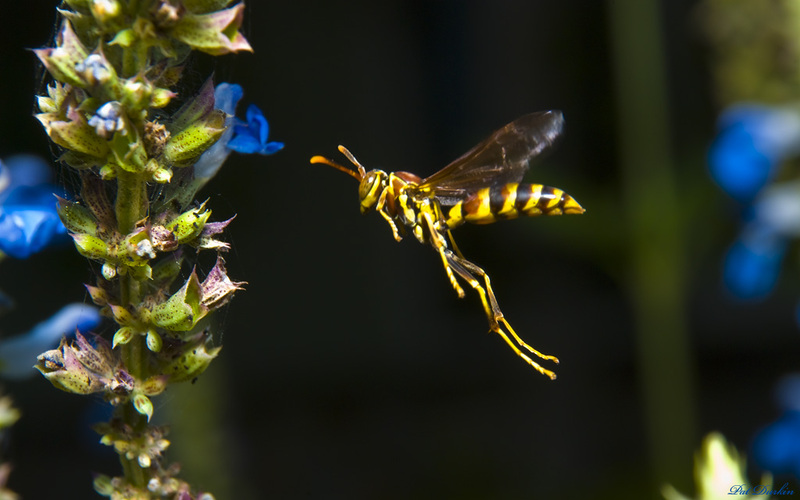 As many other insects, wasps go through learning flights by looping around their nests and their location. When they return to their home they go through the same patterns they learned while flying from the nest. These loops help wasps orient themselves and find locations after foraging. However, the way they managed to do so was unclear until now. Scientists have been studying the flight of wasps for ten years and now they have finally reached a conclusion. The results of their study were published on February 11 in the Current Biology journal. In order to get a better look at the insects, the researchers placed high-speed cameras near the nests of the wasps in order to capture their departures and their returns. It appears that the wasps’ maneuvers are very precise and they follow a certain pattern that is unique among insect species. Australian National University ecological neuroscience expert and one of the co-authors of the study, Jochen Zeil, has stated that the insects back away from their home in wide circles while looking back at their flying route. This permits them to view the surroundings of the nest from various distances and directions. However, they tend to keep the home in either their right or their left visual field. After recording the movements of the wasps with their cameras, the scientists used a special software to track the position of their heads in orders to determine where they are looking. The terrain around the nest was captured in 3D with a panoramic imager. This gave them the opportunity of seeing through the eyes of the insects in a virtual 3D environment by using a digital map of the sight lines and the body positions of the wasps. Further on, the researchers tested various predictions of flights, and arrived to the conclusion that their simulations were the same as the behavior of the insects. In this way scientists get inspired by wasps and will be able to implement a better technology for GPS technologies.